Grip V is the smart version of the “Grip Laces” shoes. It’s a shoe more suitable for indoor and overhang uses thanks to its intermediate midsole and its less asymmetry. The WildMicro precision Fiber keeps high the precision in this shoe which is projected to give to the “allround” shoe a new standard. 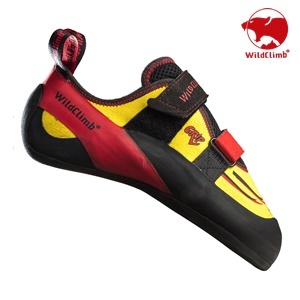 WildClimb is part of the M&M Calzaturificio s.r.l.and has an experience of over 25 years in the production of mountain shoes. Feeling strong after this experience, we jumped into the vertical world to improve our knowledge. We created instruments to make people grow and to let ourselves grow. We are boned with the climbing world and for this reason we are careful in making our activity sustainable and repeatable. The investments we do in our materials and in the shoes construction are mainly for the respect of the foot and for the performance. We think an athlete can improve his abilities only if we don’t force him in a bad posture by using too arched and asymmetric shoes. We have the same attention for the environment and for the young people over we invest since ever. We like to think our enthusiasm could be a toolbox where those who use our products can pick something: everybody can take what they need more and continue with the things he learned. 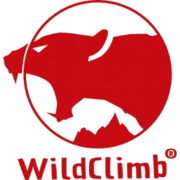 WildClimb is pleased of being a solid base where many athletes have built their careers.